I said 'no' at the start, and then we had a think and decided to take the opportunity. I'd be kicking myself if I said 'no'. I never sat back and thought, 'I want to be captain'. I just did it because I cared and I wanted to. TAYLOR Walker never thought he could lead a footy team. Not officially, anyway, with the small 'c' next to his name and the extra responsibilities that come with it. He even knocked back then-Adelaide coach Phil Walsh at the start of 2015 when he put the idea to Walker to captain the Crows. "I said 'no' at the start, and then we had a think and decided to take the opportunity," Walker told AFL.com.au. "I'd be kicking myself if I said 'no'. "I never sat back and thought, 'I want to be captain'. "I just did it because I cared and I wanted to." 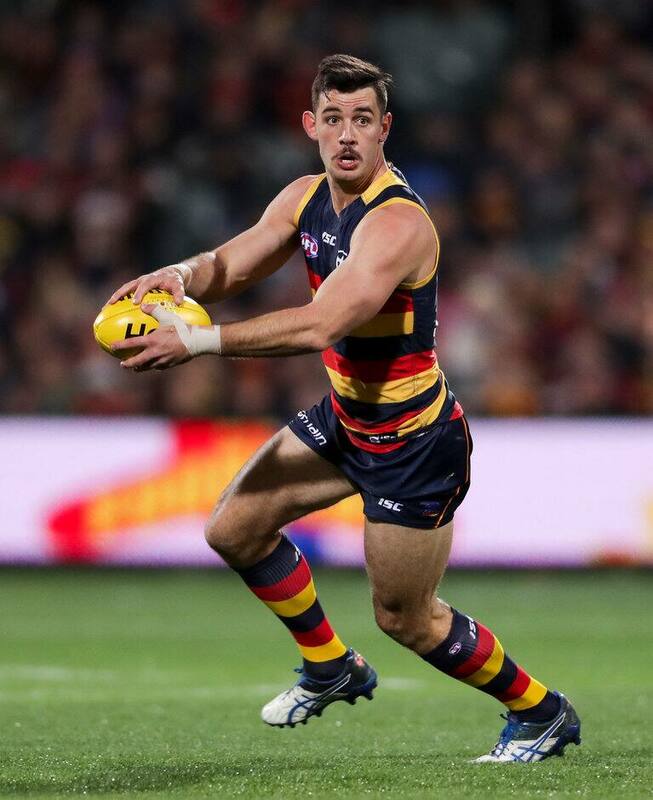 On Thursday night, Walker leads the Crows into their fifth finals game under his watch when they host Greater Western Sydney in the first qualifying final at Adelaide Oval. The Crows are 2-2 in finals with Walker as captain – bowing out in the semi-final stage in the past two seasons. But this year, the expectation and belief is greater after the Crows claimed their first minor premiership since 2005. Is there pressure to provide the Crows' legion of supporters with their first flag since 1998? Walker sees it as more of an exciting opportunity, one borne from hard work and the tragic circumstances of the past couple years. Walker is the perfect leader for this group. At 27 and with 150 games to his name, he can relate to the senior players while also helping to get the best out of the younger generation. He has embraced the captaincy whole-heartedly, earning the respect of his teammates and repaying the faith Walsh showed in him. Walker also leaned heavily on former captain Nathan van Berlo and veteran midfielder Scott Thompson when he first took the role, crediting the duo for assisting in the transition. "You don't get into a leadership role and be expected to change," Walker said. "Obviously 'Walshy' saw things in me (that were suited to being a captain). "You can always grow and learn, but you don't have to change too much. "You just have to adjust and enjoy it." The AFL Players' Association captain of the year last year, Walker stands up when the game is on the line and isn't afraid to dish out a spray when it's required. All Australian defender Rory Laird described Walker as a "complete leader" – one who toes that fine line of having a laugh while also dishing out home truths. "Around the changerooms, he's one of the jokers and plays pranks, but the way he flicks the switch in times of need, in terms of meetings when we're reviewing games is important. "Giving feedback to other players is incredible and it's probably more the fact the care he shows the club and the playing group. "He's very diligent in getting around to all the players and making sure everyone's really brought into what we're doing as a team and making sure they're prepared for the weekend. "He's a complete leader and stepped into the role really well."